ADHD is a neurobiological disorder that can affect your child’s ability to regulate his behavior and observe, understand, and respond to his or her social environment. Often have problems getting along with other children (i.e. sharing, cooperating, keeping promises)? Struggle to make and keep friends? Tend to play with kids younger than him? Become upset, aggressive, or frustrated easily when they lose a game or things don’t go their way? Have difficulty following directions and rules? Peer relationship issues tend to be a common problem area in children with ADHD. Children with ADHD tend to act in a way that provokes negative reactions from peers, and can become a target for teasing. 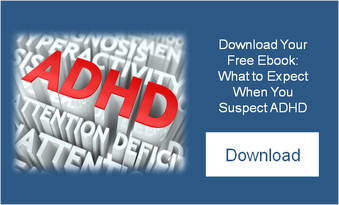 The hallmark symptoms of ADHD, such as hyperactivity and impulsivity, can be the main culprits to blame! These children tend to live in the NOW… meaning what they can achieve right now is what is important! The consequences, like losing friends and being left out the next time, are overlooked. Social skills (i.e. sharing, keeping promises, expressing interest in another person) have NO IMMEDIATE GRATIFICATION. These kiddos then have difficulty understanding the concept of building friendships based on these learned skills. Practice social skills at home and when you observe your child playing with other children. Avoid activities that require complex rules for success and a lot of passive time (i.e. choosing an infield vs. outfield position in T-Ball). They can become bored and distracted easily. Discourage play with aggressive peers. Experts have found more positive social interactions when there is less competition – this causes emotional over arousal, increased disorganized behavior, and frustration. Make sure you are modeling appropriate social behavior at home. Work with your child’s teacher and involve her in the process. Enroll in social skills training class or contact a professional if more help is needed.